Lance Stephenson Slaps Himself during Contact with Harrison Barnes. 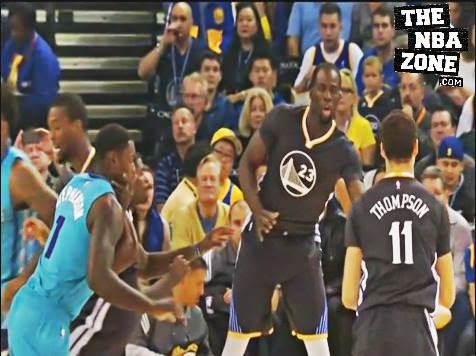 Watch the video..
[VIDEO] : Lance Stephenson Slaps Himself during Contact with Harrison Barnes by The NBA Zone. In the first quarter of the Charlotte Hornets' matchup against the Golden State Warriors (November 15th, 2014), Lance Stephenson tried to work his way around a group of bodies that resulted in his own hand slapping his face. The funniest part of the whole exchange is Stephenson flailing his arms afterward in hopes of drawing a foul (which he did).